Angus is a region of fertile farm land stretching north from Dundee- Scotland’s fourth largest city- to the Highland border. It’s an attractive area of broad straths (valleys) and low, green hills contrasting with the rich, red-brown soil of freshly ploughed fields. Romantic glens finger the way into the foot hills of the Grampian Mountains, while the scenic coastline ranges from the red sandstone cliffs of Arbroath to the long, sandy beaches around Montrose. This was the Pictish heartland of the 7th and 8th centuries, and many interesting Pictish symbol stones survive here. London’s Trafalgar Square has Nelson on his column, Edinburgh’s Princes Street has its monument to Sir Walter Scott and Belfast as a statue of Queen Victoria outside city hall. Dundee’s City Square, on the other hand, is graced – rather endearingly- by the bronze figure of Desperate Dan. Familiar to generations of British school children, Dan is one of the best loved cartoon characters from the children’s comic The Dandy, published by Dundee firm DC Thomson since 1937. 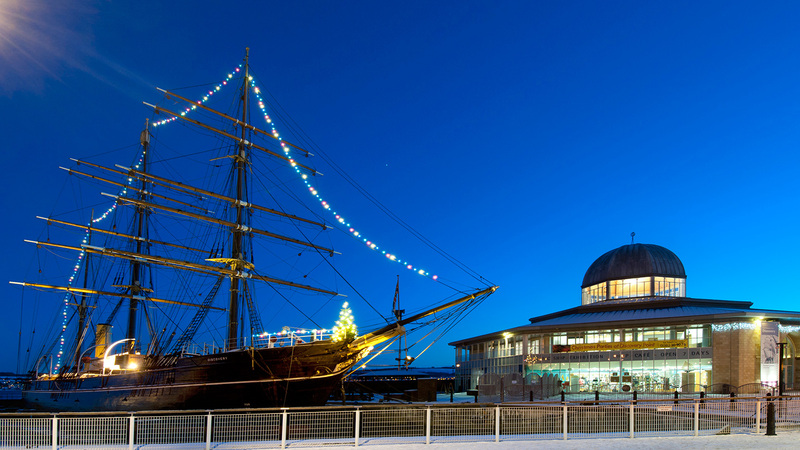 Dundee enjoys perhaps the finest location of any Scottish city, spreading along the northern shore of the Firth of Tay, and can boost tourist attractions of national importance of Discovery Point and the Verdant Works museum. Add in the attractive seaside suburb of Broughty Ferry, some lively nightlife and the Dundonians- among the friendliest, most welcoming and most entertaining people you will meet- and Dundee is definitely worth a stopover on your tours of Scotland.